As everyone knows, the neck is an important part of the body to protect when you are going into battle! The Steel Imperial Bevor offers a great choice when you are deciding what armour to wear to guard your neck. 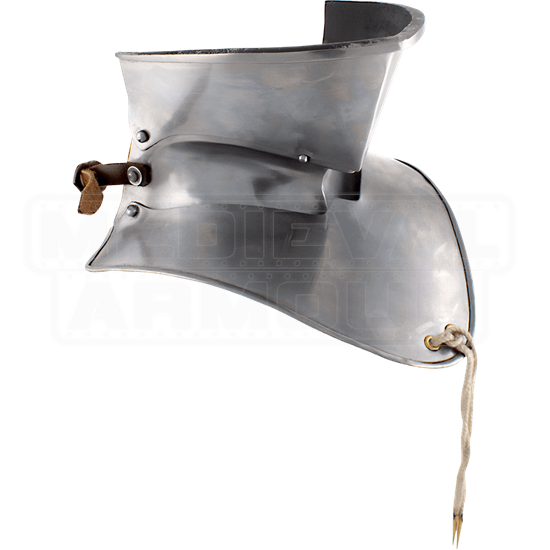 This neck plate armour is made from 19 gauge mild steel and has top-grain leather fittings, ensuring that this is a quality piece for your next Ren fair or LARP event. The polished steel finish gives this neck armour a fantastic sheen that you are sure to love with the rest of your steel armour. 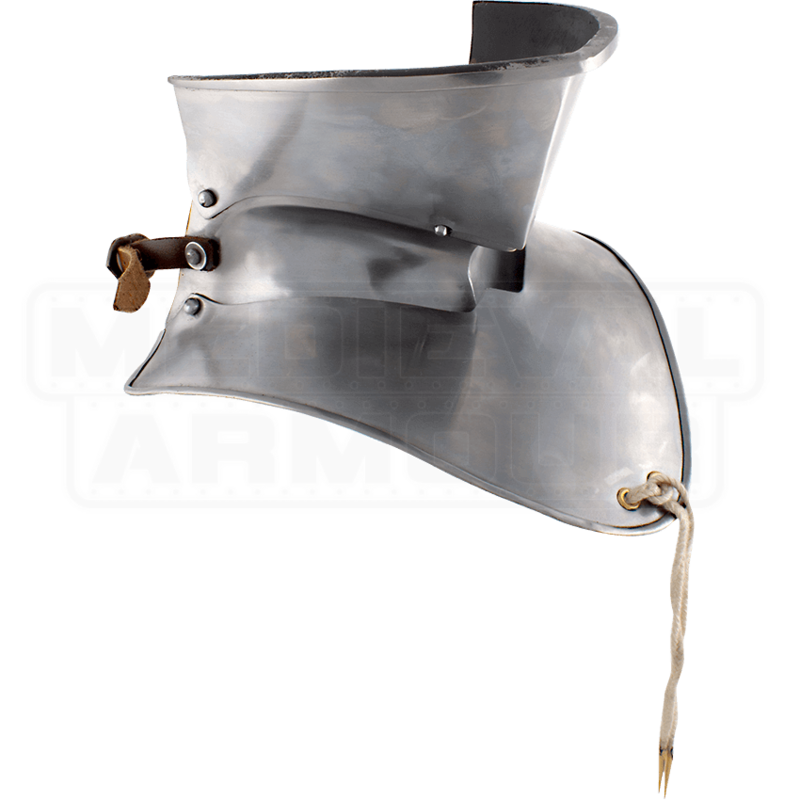 Try pairing this piece with a sallet helmet or burgonet helmet for an authentic look.